Mastering home décor is no easy task, but it is a fun one. Interior design is your chance to let your creativity run wild and really enjoy playing around with colours, materials, layouts and light. But of course you also want the end result to look great. So what makes truly great design? We believe the best home décor is the kind that accurately reflects your own personal styles and tastes, but it’s also about creating interior settings that stand out and draw the eye for all the right reasons. At least one room in your room should act as your ‘showstopper room’. This is where you can take risks with your design choices to create a space that causes conversation, and we’ve got 5 truly fabulous ways to do it. Let’s take a look. Contrast creates drama, which is exactly what a showstopper room needs. 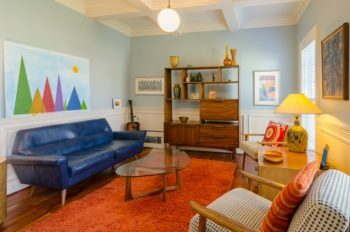 Vintage or antique furniture is a great way to bring a touch of elegance and luxury to your home, while also introducing something totally unique. To make it stand out even more, try mixing these decadent furniture items with colourful soft furnishings and thoroughly modern accessories. This will bring a strong juxtaposition to the room that will immediately turn heads. We’re often told that the best décor is the kind that uses a light and neutral colour palette. While this might be true in many circumstances, when creating a showstopper room you shouldn’t be afraid to go deeper and bolder with your colour choices. If, for example, the dining room is your room of choice, a dark hue like purple, navy or even black can be used to make the space feel elegant and timeless. Natural light is a powerful tool. 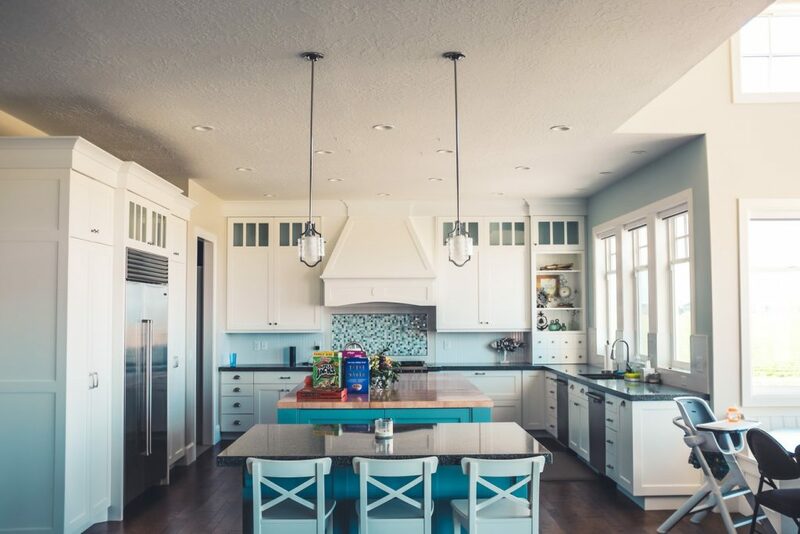 In fact, studies have shown that natural light is consistently one of the most important factors for prospective homebuyers, and one of the things they notice first when stepping into a property. So finding ways to maximise your natural light will help your room stand out, whether it’s by introducing features such as bifold doors and skylights, or by using reflective materials like metallics to allow light to bounce back into the space. Remember what we said about contrast? Well mixing and matching time periods isn’t the only way to achieve powerful juxtaposition through design. Using multiple patterns in the same space is a brave way to draw the eye, and when it works the results are fantastic. Find patterns with at least one thing in common, such as a single colour or a look, such as geometric or art deco. This will bring the space together in harmony whilst still creating a controversial clash to inject life into the room. Blue isn’t a colour we tend to associate with bold looks and drama, as it’s more often linked to calm feelings and tranquil scenes like seascapes and summer skies. However, when given the chance to really shine you’ll discover how much power this simple colour really possesses. Try combining light blue and dark blue tones in the same space for a truly dramatic effect. In fact, decorating with various shades of the same colour will help you on your way to creating a showstopper, no matter what colour you choose. 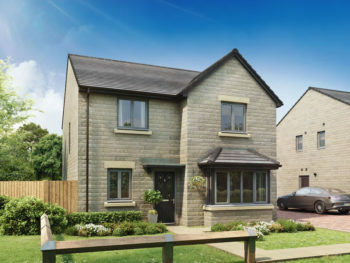 Whatever your style, try it out on a new home from Homes by Esh. 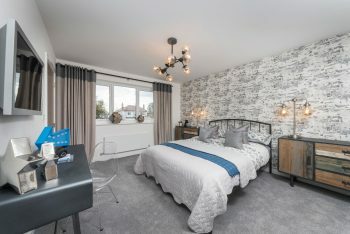 Explore our developments today and get in touch to arrange a viewing using our online Live Chat service.